Your Emotional Identity—What is really important to you, and how does that relate to your environment? Two ways to look at your emotional identity are from the individual perspective—your personal values, and from the collective perspective—your cultural and societal values. Values help define your identity through what you feel. Core personal values are the things you can’t live without. These are the most important things in your life that must be present for you to be happy. The cultural values of your family and societal values of the area you live in also play a role in your identity. What are your core values, and how are they influenced by your environment and the culture you live in? Nature vs. Nurture. Self vs. Society. What influences you more—your innate personality, desires, and motivations, or society’s expectations? In which areas of your life are your personal values strongest, and in which areas are your cultural and societal values strongest? To define your core values, use the Core Values Sheet, and group them based on topic, if desired. To explore your cultural/societal values, see the Spiral Dynamics Introduction to learn about Spiral Dynamics and find out where you may fall on the spiral. Integral theory is a philosophy, developed by Ken Wilber, of classifying everything in life and showing how things are interconnected—“the theory of everything”. 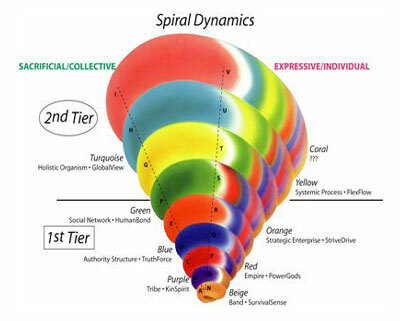 When used in combination with the Spiral Dynamics framework, you can see how individual and collective values interrelate by comparing what spiral they are on. 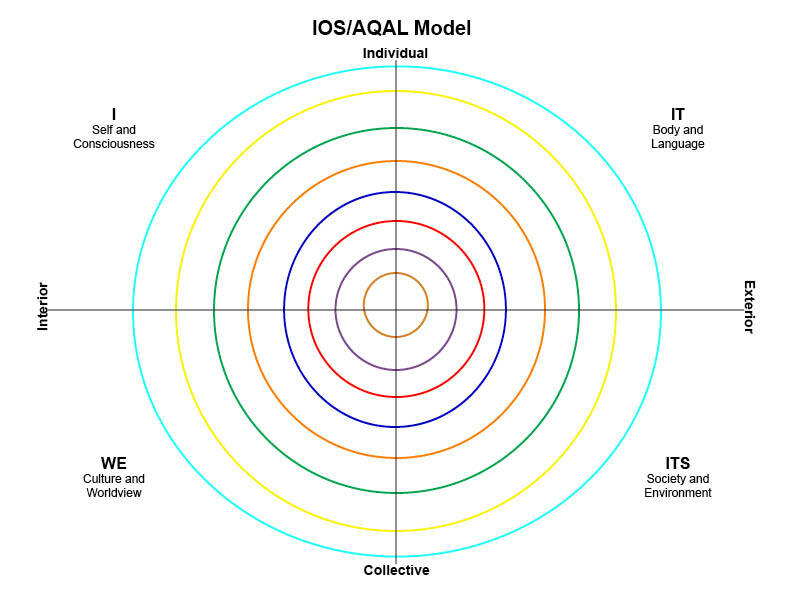 Integral theory breaks down everything into four quadrants: I, It, We, and Its. “I”, the upper-left quadrant, relates to the internal individual: your personal identity and core values. “It”, the upper-right quadrant, relates to the external individual: your body and how you connect with it. “We”, the lower-left quadrant, relates to the internal collective: family identity and cultural values. “Its”, the lower-right quadrant, relates to the external collective: societal and national values. So, even though personal, cultural, and societal values are in different quadrants, they may be on the same spiral, and therefore show up similarly in different areas of life. How do your core/personal values relate to your culture’s and society’s values? Is there overlap? Are they on the same spiral? Are some almost opposites?